Click on the above image to listen. 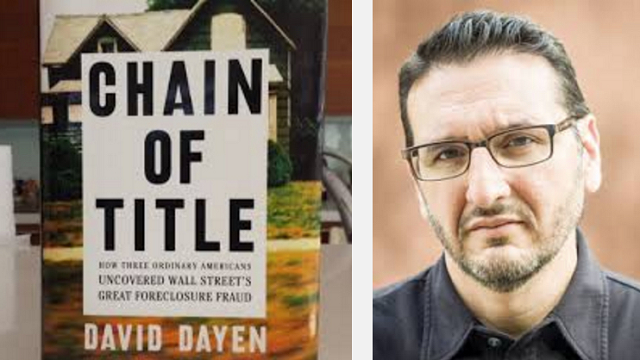 Neal Barton did one of the more fun interviews with David Dayen about Chain of Title, where he got into some stuff in the book that he hasn’t talked about a lot. Chain of Title completists, check it out! David would gain more voice. I’d. Think if. He could bring attention to things. Currently gone terribly wrong . toxic titles still being. Litigated. State by state it’s frightful . and not over .